Competitors win a fencing bout (the proper term for an individual match) by being the first to score 15 points (in direct elimination play) or five points (in preliminary pool play) against their opponent, or by having a higher score than their opponent when the time limit expires. Each time a fencer lands a valid hit (also known as a touch) on their opponent, they receive one point. The time limit for direct elimination matches is nine minutes, made up of three, three-minute periods with a one-minute break between each. One of the most difficult concepts to visualize in foil and sabre fencing is the rule of right of way. This rule was established to eliminate simultaneous attacks by two fencers. In essence, right of way is the differentiation of offense and defense, and is decided by the referee. The difference between offense and defense is important only when both the red and green lights go on at the same time in foil and sabre. When this happens, the winner of the point is the one who the referee determined was on offense at the time the lights went on. 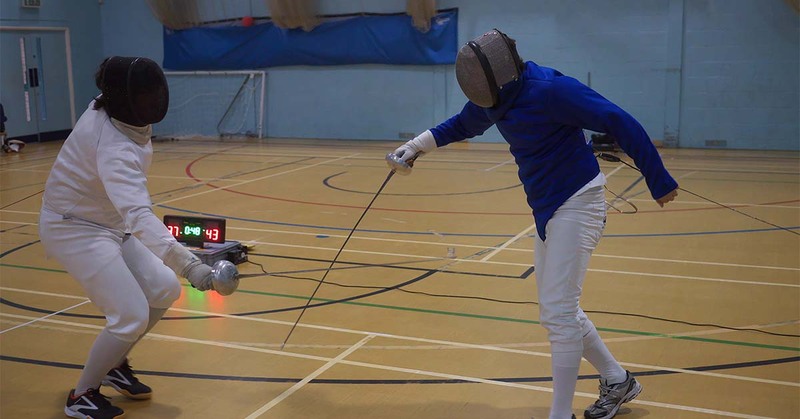 Epee does not use the right-of-way in keeping with its dueling origin. Instead, he who first gains the touch earns the point. Or, if both fencers hit within 1/25th of a second of each other, both earn a point. However, it is equally important to have a sound defense for epee, since the entire body must be protected from a touch. Fencing at the Olympic Games feature a single-elimination table format, much like that used in tennis. There are no preliminary rounds, as the initial seeding into the table will be determined by World Rankings. When your child joins Lilov Fencing Academy, they’ll learn all of the rules of fencing along with technique and training. Contact us today to find out more information about the fencing lessons and camps that we offer in Cedar Grove.